The aged oolong market in the west leaves a lot to be desired. Most of the time the teas are usually significantly flawed (re-roasted/sour), overpriced, or more often than not both. A couple years ago, I was lucky enough to sample a number of aged oolongs from Tony of Origin Tea that were offered off-shelf. This helped to give me some perspective on aged oolongs, but also move me into the cranky, old curmudgeon category of a drinker who seems constantly dissatisfied and cynical with the online tea scene at least for this tea genre. Don’t get me wrong, I’m nowhere near an expert but I have gotten a taste of the Taiwanese market to at least know that the idea of aged oolongs being good value teas with consideration to age (true in TW) is not extended to the western market. When Origin Tea was closing down its shop, I acquired a box of Tony’s leftover aged oolong samples. For some of these teas there’s only a single serving. With others there’s a couple of ounces. Some have labels, others partial labels, others no identifiers. In what’s been a long process, I finally have started drinking through it.. This report represents the last of any aged oolongs I had from western vendors and my first foray into the mysterious and much feared box. Sadly, most teas I’ve picked from the box have been above the western vendors average. Hell, that aged oolong teabag is better than most. I guess I have different problems than Brad Pitt..
Sweet, overripe plum. Orange/red soup. Sits mainly in the front of the mouth. Smallish leaves. Has a nice softness to it. Still some strength/mild astringent character. A nice throat coating. Aroma really has that sweet plum. Veers a little towards the minerals. If you hit the tea right it has a really nice plum, with nice earth notes. Not the thickest or the best but still pleasant and clean. Loosely rolled. The best of the Origin oolongs that aren’t from the box. It’s not overly complex but quite tasty. Very very sweet. Good depth, throat coating. Medium,heavy body. Some roasty, minerals on the finish. Goes about 10-12 steeps. Tony has told me in the past that most good aged oolongs from the 1970s are a huge jump in price compared with 1980s. This one got slightly humid which made the price remain reasonable. Slight sourness, but not overly so. Smells like plum. A soft, decent body rounded form. Good throat sweetness that lingers. Steeps out into roasted minerals with a light plum taste. A nice different change of pace from the Meishan and HS. The perfect grandpa style tea. Tastes exactly like a proper aged oolong. Plummy, sweet, gets more mineral and talc if pushed hard. I rarely grandpa style cause I usually just stop working and gong-fu, but this is the perfect tea for it. Earthy tones and not really that sweet or plummy. Small leaves similar looking to 1976 BZ. A little herbal. A slick mouthfeel. Fairly light body. Some mouth coating along the roof of the mouth. Tingly mouthfeel. Not much in the way of throat depth. I’d rate it as a bit further along, but not as enjoyable as the 1976 Baozhong from Origin. Really has to be pushed and steeps out fast. 1968/1979 Aged Oolong, via Jake? Not sure what the age is, not that it really matters. I think this is from Jake of Drinking Teas. Thanks! Plummy/earthy aroma. Soft, slightly tart. After that it’s pretty decent. Soft plum/earthy taste that lingers in the mouth nicely. Average, but nice enough aged oolong. Thanks Hster for sending me this! Very informative and educational. Also a great tea that fits right alongside Tony’s aged oolongs and is probably even better. Not sure what the age is on this, but it feels a little older than the Meishan and definitely the HS. It might be baozhong or something unrolled like that. Really good tea. Rich dark fruit, cherry. Good depth, strong mouth aftertaste, light throaty qualities. Similar genre as the aged oolong from Yang, except much better. I also get qi from this, which didn’t really happen for any of these other teas. Steeps out relatively fast but I think that’s pretty normal for aged oolong. I had this tea with a good friend and compared it with the Meishan and Tea Urchin’s 1986 Lishan. Blew the Lishan out of the water and was at least a grade better than the Meishan. Some mouthcooling or what my friend identified as cucumbers. 30 yr aged oolong teabag. Grandpa stylin. Anonymous, no label. Sweet plum, leather. Soft, smooth, leaves a refreshing feel on the mouth. Some sweetness in the throat. Clean, solid aged oolong. Roughly on the level of the 25 year old HS, maybe a little better. Plummy nose. More creaminess than most other teas. Clean. Big soft body, nice and creamy. Very clean. Nice back of the mouth sweetness. Decent longevity for 10 steeps. This is similar but different than the rest of the (presumably) Taiwanese aged oolongs. Plum, light vegetalness in the nose. There’s a light tart note that’s only there in the initial steep. Very sweet, but not in a plum way. Soft, fairly smooth, predominant flavor of ginseng with plum sweetness in the background. Nice depth to the back of the mouth. Good returning huigan to the throat. Later in the session there’s some pleasant light cream. Lasts ~10 infusions. Aftertaste is great. Very clean storage, no sourness. Lots of sweet minerals, talc, chalk. Leaves a sticky feeling in the mouth. Starts to taste and smell more like an average Wuyi the more it steeps out. Very different character than the rest. Sorta tea that would probably benefit from high leaf to water ratio. This is alright, although I find it pretty expensive for the quality. Smaller leaves than contemporary Lishan. Smooth form, decent body. Minerals, plum into floral, leathery, creaminess as it steeps. Eventually sweetness comes over the back of the mouth. I had a separate session and compared this vs. the Meishan (cost me ~half as much) and it didn’t do all that well, being thinner with less depth/less vibrant and younger tasting. I’d just go with the Lishan.. This is more interesting and different than it is good. Dank, chalky, and creamy. It’s smooth and a medium-light body. Fairly thin and lacks any sort of depth. Poor looking leaves. Kinda like the 1960s pu’erh I had at Wistaria has a vague interest but isn’t a very good, dynamic, or enjoyable tea. A good tea and probably the best from a western vendor, but also sold out. Vibrant, very sweet taste. Starts out plummy with a mild tartness. That goes away quickly and the plumminess eventually fades into dark, leathery notes. The tartness would be more of an issue if this steeped out fast, but it goes for a long time (especially for a Baozhong). I much preferred the 1982 but this is at least a step above the western competition. Musty, dark cherry nose. Milky, sour, dark, cherry earth bomb. There’s some earthy tartness in this. The body is good and it’s better than the 1979 Oriental Beauty, but this is also falls into the more interesting than good category. A leathery nose. A little wetter, milkier, creamier than the 1982. Finishes on that dark, slightly sweet, leathery note that the 82 Baozhong does. The real deal.. This was re-added to the site recently. Two problems.. (a) It’s very expensive ($/g) (b) aged oolong does better with heavy parameters and perhaps most importantly (c) it’s sold out.. Big thanks to Brian (bw85) for sending this my way. Very aromatic, dark plum + cherry aroma. Somewhat similar to the oolong from Hster/Marshaln although I think this has larger leaves.. The initial infusions have a very slight tang to them but the taste is mainly dominated with a strong infusion of plums, dark plums, and a little leather. It really starts to hit its stride on the 3rd steep where it thickens up.. The increased viscosity are accompanied by a comforting soft, creaminess. Lots of strength in the back of the mouth and top of the throat. Like Marshaln’s oolong there’s qi of the relaxing sort. It does fall off fast, but delicious while it lasts. It’s not quite as long lasting as the 1980s BZ from Everlasting Tea but is much better for the money infusions. I actually could’ve given this a lukewarm recommendation, but it’s no longer available. It’s also not necessarily a typical aged oolong experience. Good body. Smells slightly plummy with strong hints of nectar fruits. Mildly tart/sour at the start that continues for a few infusions. Still quite astringent. Strong aftertaste in the mouth. This is reasonably nice now, but needs more time. It also still tastes like dancong with a pleasant softness and nectar like quality and it resembles young Dancong even more as it steeps out. Second session was a much reduced leaf ratio and it removed the tartness at the expense of a weaker soup viscosity. Its also more difficult to pick up on aged notes with a lower ratio, i.e. the plumminess. This is OK as a Tieguanyin, but doesn’t really exemplify what’s nice about aged oolongs. An upfront tea. Can still taste the roast. Full body, bitter, tart. Slight sweetness. It’s pretty strong tea overall. Has some of the plum aroma but not all that much aged taste. I don’t particularly love it. Similar overall feelings here to the 1999 Tieguanyin although I think this might be a slightly better tea. Smells really nice with caramel and toffee in the nose. Full body, bitter, nutty. It stays in the front part of the mouth but really isn’t what I’m looking for as an aged oolong. Kinda unfair to put this tea up against these older teas, but we’re grading everything here as an aged oolong. Predominantly creamy, earthy tones with a bit of fruit. Not as clean as the 1990s by Houde. I’m pretty sure this is too wet as it makes my throat very uncomfortable and have to call the session early. Sour. Honeyish. Leaves a relatively thinnish aftertaste. I also have doubts about the age as it doesn’t really have much of an aged taste for something supposedly over 20 years old. 25 Years Old HS A Origin Tea Good++. 1986 Meishan Origin Tea Very Good. 1976 BZ Origin Tea Good+. 25 Year Old Aged Oolong Teabag Origin Tea Good+. 1970s Oolong Yang $40.00 100 $0.40 Good. 1968/1979 Aged Oolong ? Good. 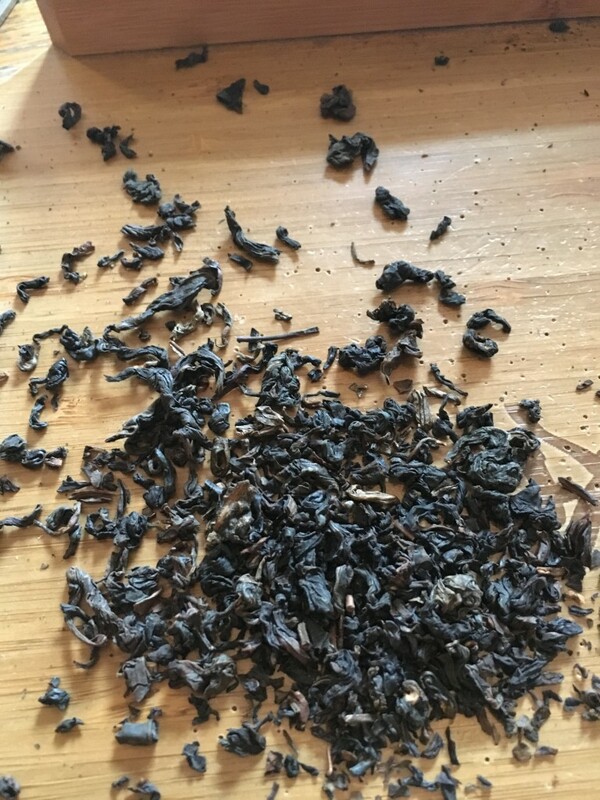 Aged Oolong Marshaln via Hster – Very Good+. Gold Bag The Box Good+. 25-30 Year Old Oolong The Box Very Good. 1985 Fujian The Box Good+. Aged High-Fired Rou Gui The Box Good-. 1986 Lishan Tea Urchin $70.00 100 $0.70 Good-. 1990s Fenghuang Dancong Houde Good. 1980 Fenghuang Dancong Camellia Sinensis INC.
1999 Muzha Tieguanyin Taiwan Tea Crafts OK+. 2002 Tieguanyin Floating Leaves Tea OK+. 1994 Oriental Beauty Butiki OK-. 1979 Oriental Beauty J-Tea $15.00 28.35 $0.53 OK.
1972 Baozhong Everlasting Teas Good-. 1982 Baozhong Everlasting Teas Very Good. 1970s Pinglin BZ Essence of Tea Very Good+. Sorry guys. I can’t really wholeheartedly recommend any of the available teas from this report. The western landscape is barren, even more so than matured pu’erh. It’s littered with re-roasted oolongs which can be OK and overly tart/mis-stored teas but aren’t really the same thing as un-reroasted oolongs. There are some OK options (Everlasting Teas, Floating Leaves, Chawangshop, and Tea Urchin) but you’re guaranteed to pay more and expect less. 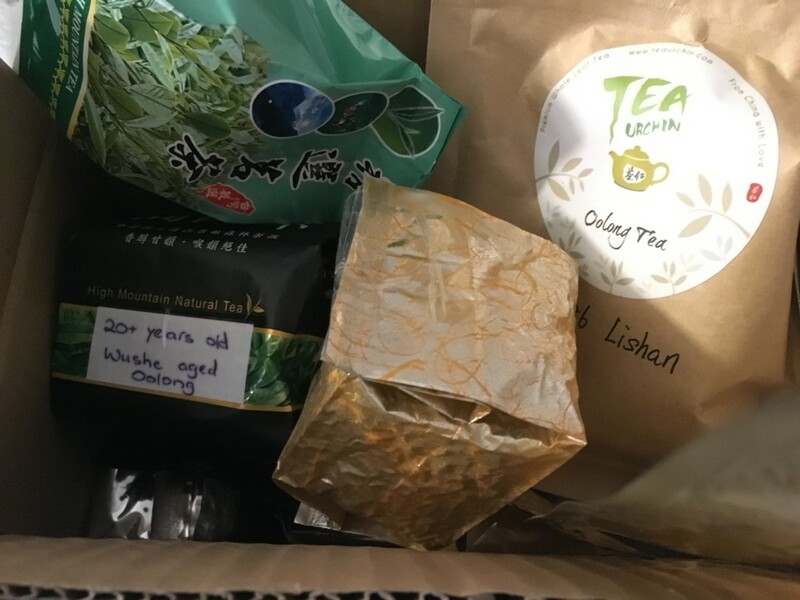 This entry was posted in Aged Oolong, Anxi Oolong, Article, Dancong, Drinking Report, Oolong, Taiwanese Oolong, Wuyi Oolong and tagged Camellia Sinensis, Everlasting Tea, Floating Leaves, Hou de Asian Art, J-Tea, Origin Tea, Tea Urchin. Bookmark the permalink. Very nice to see you dipping back into Aged oolongs after such a long hiatus. It’s very true that western vendors (with a few exceptions: I liked the Everlasting ’82 a lot as well) don’t really have much in the way of proper aged oolong; but there’s also a lot of good stuff waiting to be discovered in the back alleys of Taiwan. The Houde aged oolong is vastly better brewed western style, for some reason. I used to brew like four grams to a 500ml-1l glass pot and it would give a very intensely fruity experience with little of the persnickety behavior it does in a gaiwan. I’ve had a few of the oolongs you mentioned in the report (including the EoT 1970’s BZ) and I urge you to try some of Stephane’s (Tea-masters) aged oolongs. They are price prohibitive, but the cost matches the quality in my experience and will most likely change your perception of aged oolongs. I got to try a few of Stephanes aged oolongs during the Tea Institute at Penn State’s 2014 Regional Tea Ceremony Exhibition. It’s been hard to really enjoy other aged oolongs after that experience. That is seriously an epic haul. 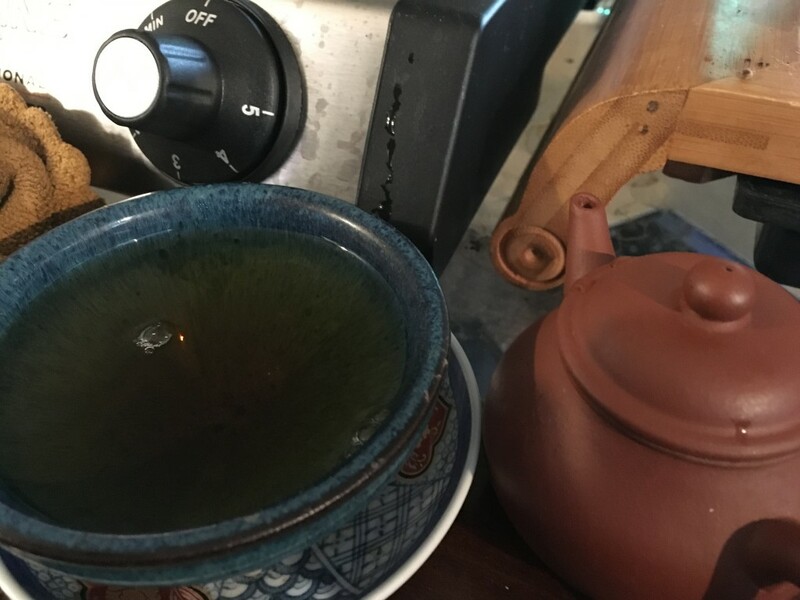 As it has been told to me by some westen vendor friends who’ve spent time in Taiwan … the whole “philosophy” behind aged oolong is a bit of a happy accident.